If you’re looking for a place to enjoy nature away from crowds of people, the Town of Athelstane is just the place for you! With a total area of 107 square miles and a 2010 Census count of 504 people, the town had a population density of a mere 5 persons per square mile. Don’t let the low population mislead you – it’s because almost 41,600 acres, or 61% of the town, is public land! A majority of the public land is Marinette County Forest Lands, which provide numerous locations to hunt for deer, grouse, turkey, waterfowl, and even bear. 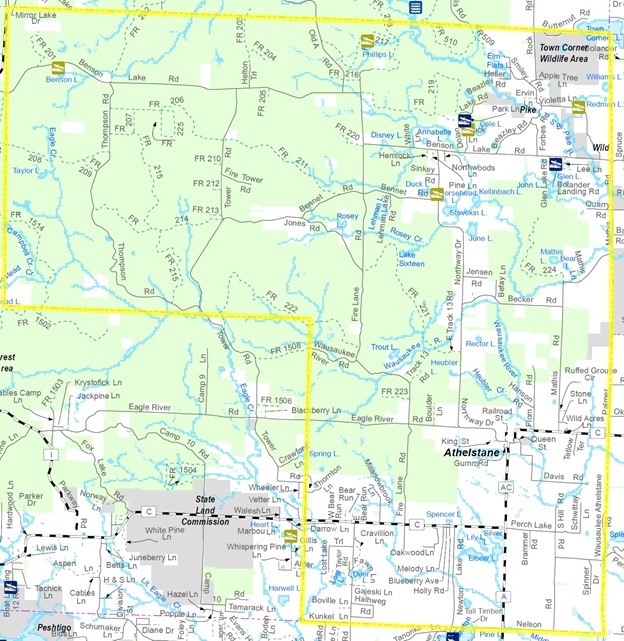 There are over 1,400 acres of state land within the Town of Athelstane too, dedicated as the Town Corner Wildlife Area, the Pike Wild River, and the Amberg Wildlife Area – all providing unique outdoor recreational activities. Glen Lake – a great place to catch some panfish and enjoy the outdoors! The town has numerous lakes and streams. Five of the lakes have public access: Benson, Dolan, Duck, Glen, and Phillips. 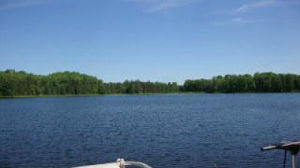 Glen Lake has an excellent panfish population, and also has northern pike and largemouth bass. It is a 49-acre lake with an average depth of 9 feet and a maximum depth of 22 feet. The other four lakes provide chances to catch panfish, pike, and bass as well, and also trout. If you don’t have any luck catching trout in one of the town’s lakes, you could try just about any stream within the town, as nearly everyone in it is either a Class 1 or 2 Trout Stream. One of the scenic trails through the town’s forests. 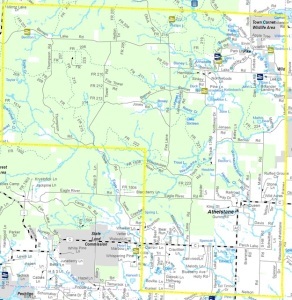 The Town of Athelstane has a fairly extensive snowmobile and year-round ATV trail system. These trails provide scenic and thrilling rides through the forests. Trail Corridor #5 runs centrally through the town and can take all the way up to the Florence County trail system. 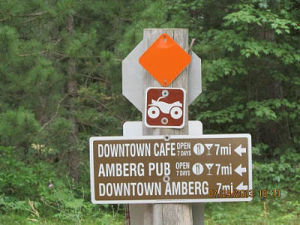 County Roads A & C and Benson Lake Road provide easy access to the most remote portions of the town. The unincorporated village of Athelstane lies conveniently at the intersection of County A and County C, and has most of the amenities you should need or want. The Town of Athelstane is bordered by the Towns of Dunbar and Goodman to the north, by the Towns of Amberg and Wausaukee to the east, and the Towns of Silver Cliff and Stephenson to the south and west.